Some residents living on Spafford Road on Cleveland's eastside believe their street could be the city's most hazardous. According to county records and the Cuyahoga Land Bank, the one-mile stretch of Spafford Road is home to more than 30 properties that have gone through, or are in the process of going through, financial distress. 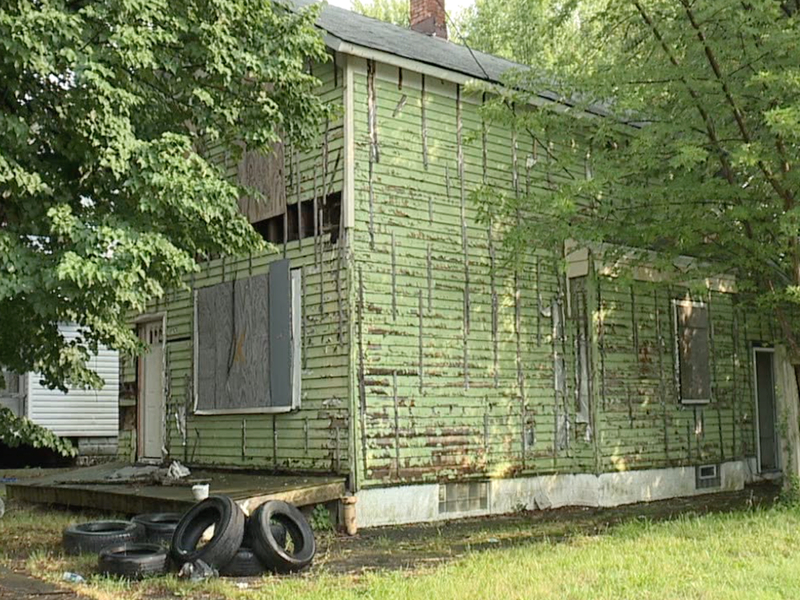 Some of the homes have been left stripped, abandoned or condemned for nearly two years. Gwen Penamon, who lives across the street from 5 of the potentially hazardous and vacant homes, said she's extremely concerned about the safety of the neighborhood. "I could be going to the store, coming out, and get attacked," Penamon said. "People coming and going, you don't know who is in the house, which is really sad, and it's really dangerous." The Cuyahoga Land Bank confirmed it has taken over ownership of 11 of the properties, and it's looking to acquire even more of the parcels in the coming months. The land bank said a large part of the unsafe conditions were caused by out-of-town investors who bought up the homes for rentals and then did little to keep them maintained over the past several years. Neighbor Patricia Benson said she's happy the land bank has stepped in to try and eliminate some of the hazardous houses, but she's wondering why it's taking so long. "You're constantly worried about your children when they're out playing," Benson said. "You know there's pedophiles still living in here, around in the neighborhood. That'd be the first place they'd go. It's just scary to me." In response to our story, the land bank said it will have field crews in the neighborhood assessing the situation by the end of the week. It hopes to have several additional homes on Spafford Road torn down by the end of the year. Penamon hopes the land bank and the City of Cleveland will live up to its promise and make her neighborhood safer. "Because of all of these hazardous homes, it makes you feel like you're living in some type of dump," Penamon said. "You can't go no lower than that."